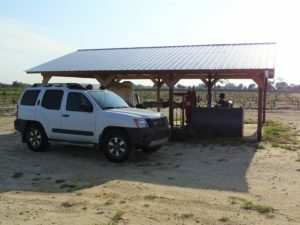 The Lower West Coast Mobile Irrigation Lab (MIL) is a cooperative project of the Collier Soil & Water Conservation District, the Natural Resources Conservation Service, and the Florida Department of Agriculture and Consumer Services. The purpose of the MIL is to promote water conservation. The MIL accomplishes this by providing agricultural irrigation system evaluations, and by expanding conservation education and outreach programs. The Agricultural MIL is a FREE service that serves Southwest Florida. It can be reached at (239) 322-8373.